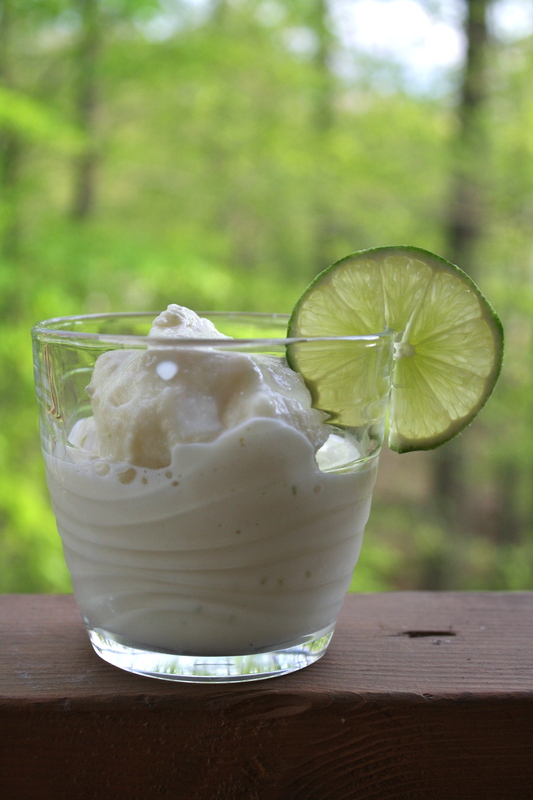 Key Lime Sorbet – No Ice Cream Maker Needed! So you know how many of the desserts I post on here are somewhat healthy? Or at least not terrible? Yeah, this sorbet is not one of those. Not at all. But oh my goodness, is it amazing. While I could easily enjoy spoonful after spoonful of it at any given time (like 10:00 am……), this is really best eaten after dinner as a palate cleanser. It’s tart flavor and cold, creamy texture are just perfect for that. In a saucepan, bring water and sugar to a boil over medium-high heat. Whisk constantly until the sugar is dissolved. Remove from heat. Stir in the sweetened condensed milk, lime juice, and zest. Whisk until well combined. Place the saucepan in a shallow bowl/dish filled with ice water. Allow the mixture to cool to room temperature, stirring frequently. This will take about 10 minutes. Once it has cooled, pour the mixture into a shallow dish (make sure it will fit into your freezer first!). Place the dish in the freezer for about 3-4 hours, or until almost completely frozen. After 3-4 hours, spoon the mixture into a large food processor. Blitz/pulse a few times until the sorbet is smooth and creamy. Pour into a bowl, and store in the freezer for at least 3 hours before serving. – I apologize for the ounce measurements – I just found it easier to measure the liquids that way! It really couldn’t be any simpler! I hope you do give it a go! Hooray! This looks amaaaaaaaay-zing, and I can’t wait to try it. Thanks for posting this recipe! 😀 I hope you try it and like it! Let me know! Mmm, I love sorbet! I can’t remember the last time I had it, though; I’m guessing two or three years ago? When I was little, my mom would occasionally buy Haagen Dazs mango sorbet, and we’d eat it with macaroon cookies. It was like a little taste of Hawaii! That sounds delicious! 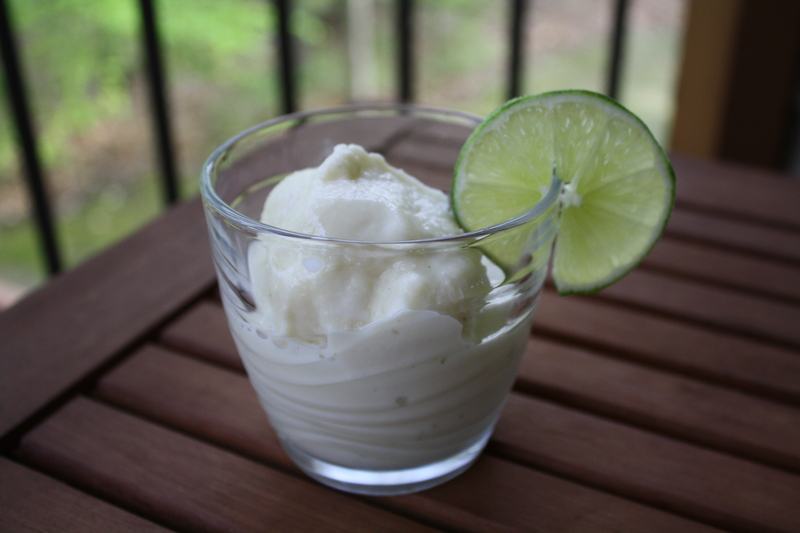 Yeah, sorbet isn’t something that I have too often (usually I choose ice cream or froyo) but I’m glad I made this stuff!